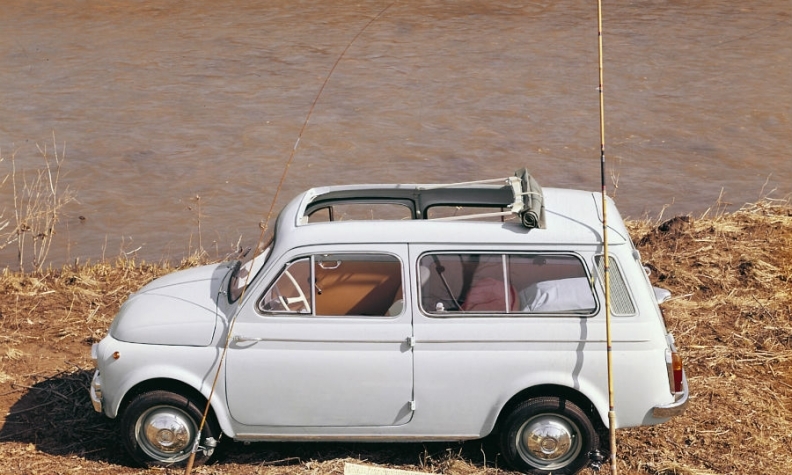 Fiat dominates Europe's minicar segment with the 500, shown, and the Panda. MILAN — The Fiat brand in Europe will be reduced to a few models based around an electrified 500 lineup and the Panda, Fiat Chrysler Automobiles executives said, while confirming the addition of a 500 Giardiniera wagon, the axing of the Punto subcompact and the withdrawal of the Tipo compact from European markets. "The space for Fiat in Europe is going to be redefined in a more exclusive area," FCA CEO Sergio Marchionne said during the unveiling of the company's business plan on Friday. He said he needed to cut products that lacked pricing power. "Given the EU (future emissions) regulations, it is very difficult for mass-market carmakers to be very profitable," Marchionne told analysts. The 500 and Panda minicars are the two models in Europe "where Fiat can play best," Marchionne said. 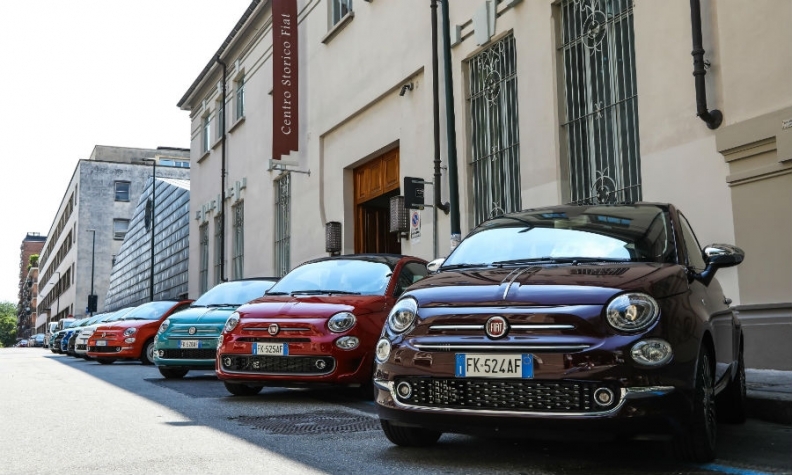 Fiat dominates the minicar segment in Europe. The 500 was the region's top-selling minicar last year, with 190,389 units sold, according to JATO Dynamics data, followed by the Panda with sales of 187,682, both far ahead of the No. 3, the Volkswagen Up, which had sales of 98,929. The 500 will get full-electric and mild hybrid powertrains, FCA’s CO2 reduction presentation on Friday showed. The 500L and 500X will get mild hybrid powertrains but no full-electric versions. "Our plan is to focus the Fiat brand on products that are able to cover the cost of the new electrified technologies," Marchionne said. The full-electric 500 will give Fiat a car that will appeal to buyers in cities where access to internal combustion will be restricted, he said. The new Giardiniera, whose powertrain lineup will include a full-electric version, revives a nameplate used for a Fiat miniwagon that was built into the 1970s. The 500 hatchback will be joined by a retro-inspired 500 Giardiniera, shown in its earlier guise. Marchionne said the Turkey-produced Tipo compact family will be discontinued in the EU once stricter emissions rules are in place because “the technology to make the car viable for EU standards is too costly." The various Tipo versions will continue in the markets in Europe outside of the EU, and also in the Middle East and Africa. Harald Wester, FCA's chief technical officer, said the new battery electric 500, which will also be sold in the U.S., "will sit on a dedicated architecture." A mild hybrid 500 will also be launched, FCA's presentations on Friday showed. Marchionne said the 124 Spider also will continue, "especially given that we have a commitment with Mazda to buy it," he said. The Japanese automaker builds the 124 Spider in Japan on the same platform as its Mazda MX-5 roadster. Friday's presentation did not address the problem that Fiat has only one SUV/crossover to compete in a part of the market that is booming. Fiat brand was once among Europe's top-selling brands, competing with Volkswagen marque for the top spot in the 1970s and 1980s. Last year Fiat's market share in the EU and EFTA markets was 5.0 percent behind the German luxury brands – Mercedes-Benz had a 5.7 percent share, BMW 5.3 percent and Audi 5.3 percent, according to data from industry association ACEA. VW brand's share was 10.9 percent. Marchionne kept his options open as to where the new Fiat models would be produced. "We still haven’t decided where the electric 500 will be built," he said. The current 500 is made in Tychy, Poland, while the current 500e is built in Mexico and sold only in the U.S.
Production of the new 500 has been widely rumored to remain in Tychy. Production of the new Panda minicar has been reported to be moving to Tychy from Pomigliano, Italy. FCA said it expects full plant utilization in Europe by 2022. "We will remain or even increase our full utilization of our European and Italian industrial capacity while eliminating the mass market products that do not have pricing power to recover compliance costs," Marchionne said. Fiat will keep a relevant role in Latin America, while "to speak about significant volumes in NAFTA or Asia-Pacific would a waste of time," he said. The brand will not leave the U.S., though, as "it has some products that will find space in that market, including the full-electric 500," Marchionne said. JATO Dynamics analyst Felipe Munoz said it makes sense that the Fiat brand will not compete in Europe with the big players, especially in non-growth segments such as small and compact cars. Ian Fletcher, an analyst at IHS Markit, said Fiat likely will need to promote sales of its new full-electric models by various means such as sales to car-sharing programs and business fleets.